I thought I'd take a break from my usual Theme Thursday this week and leave you with some visual humor instead. But what about the bacon maple bar from Voo Doo Donuts - fills multiple food groups and it's good for you....just like pizza. Also, you are very generous with the repair time on your car. I'm impressed. VE - I get a ton of ED spam everyday that could help you with that last one. Should I forward those to you? perpetual chocoholic - I'm pretty unpredictable right now as to when I'll publish a post...good catch! 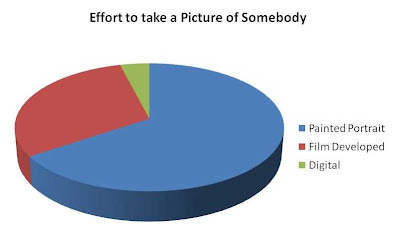 Leaving aside the incorrectness of using a pi-chart for the first one, the figures fail to take into account the number of pictures produced in each manner. Because people now take hundreds of digital photos where they would have only got 36 on film, your likelihood of being bored to tears by friends and relative's holiday snaps is sadly just as high as before. 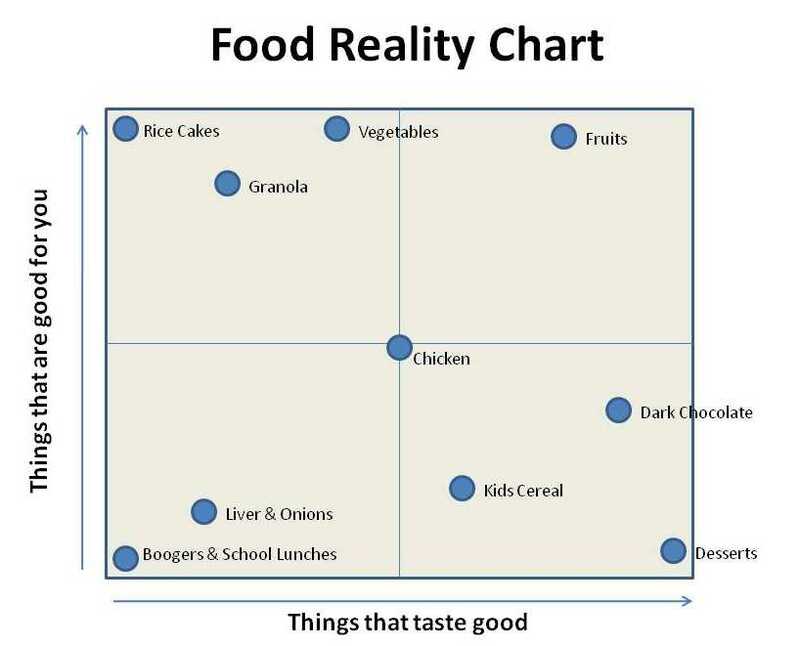 Oooh, I love to look at charts and graphs, they are so purty. Then the pie ones make me hungry. But seems like you put a lot of work into them, more than if you had written a story like I did. Bit at least you have some color. Are you kidding? I'd have put chicken right up there with dark chocolate! Seriously! Anybody who doesn't think chicken is the most ambrosial food on the face of the earth has never had it cooked right. Looks like your area of the world must be full of lousy cooks. 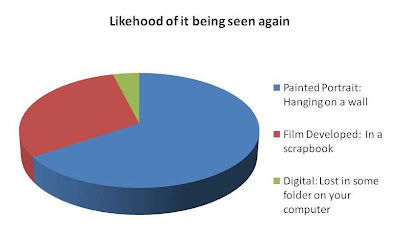 The likelihood that your hard drive crashes before you back up your digital photos: HIGH! 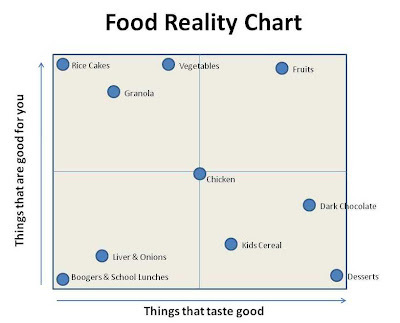 I don't see wine on your Food Reality Chart. Grapes? Okay, it could come under the Fruit category. I love statistics. 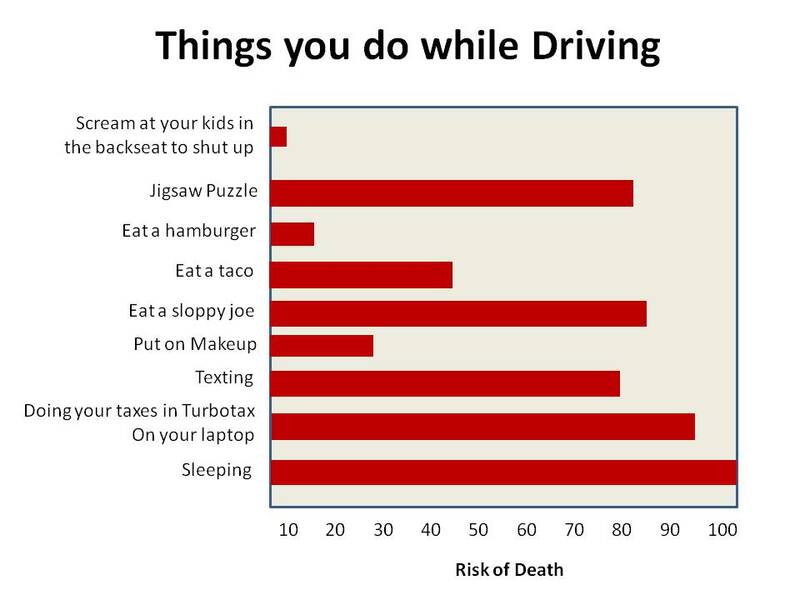 You forgot "scream at stupid drivers" on your Things you do while Driving graph. That takes up a lot of my time! These graphs are very funny and original. You should make these a regular feature. Great blog. See, I'll take pictures of people just because they made me laugh...and NOBODY ever seems them again. But they're good memories for me. Hate charts but I'm pleased that putting on makeup doesn't represent too big a risk of death . .
That last chart needs a bar for "Your Relationship". How big the bar is is an exercise left to the reader. 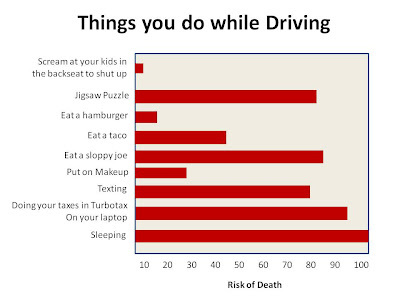 Doing turbo tax while driving, eh? I wonder if you find more deductions that way, or does filing while driving qualify as a tax credit? 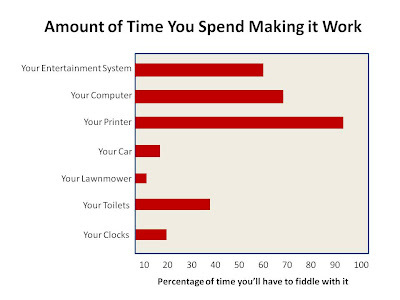 Yep, looks like you have your priorities straight, according to those charts and graphs. Dang......I've been gone so long....I'll never catch up? I like chicken and would always choose chicken nuggets for eating while driving food. Well....it's time to grab my chicken mcnuggets,hop on the riding mower and mow the front yard, maybe even take a digital pic or two and download to the printer? What about "your marriage" on the graph? hmmm that's got to be around the printer mark, I think...right? RIGHT? This is why I have photos on my blog - so my favorite digital photos won't get lost in some folder! you forgot to add taxidermy to your list of things you do in your car. every stoplight, i start on a new squirrel. do people really play around on their laptops in the car? even i don't do that! Mrsupole – No way…I have years of management experience. 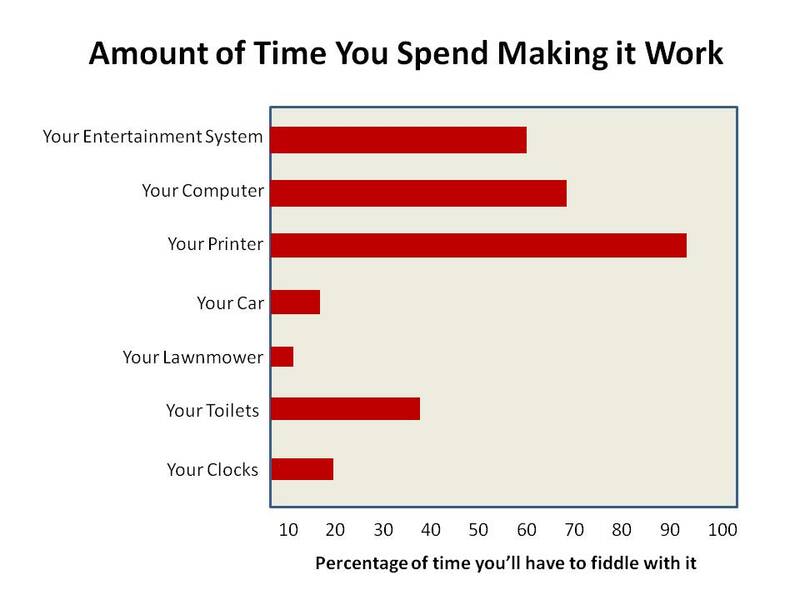 These kind of charts take minutes and mean nothing…just like at work! Subby – Of course…what else can you do with red lights? Janna – Things happen for a reason! Keep an eye on the chickens. Oh, and I have this thing about eyebrow waxing…I don’t even get my car waxed…why would I attempt my eyebrows? Jaime – Isn’t that what they’re for?